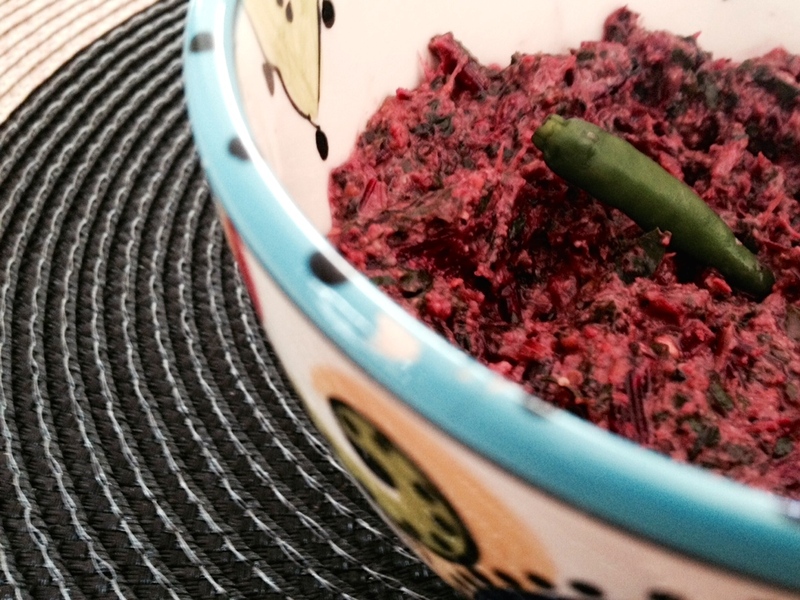 During winter ma always used to make a beet dessert, which I have been craving lately. A fellow blogger posted her beetroot halwa recipe earlier this month and that heightened my craving. Beets are in season now and I bought a beautiful bunch of beets from the farmers’ market on Saturday. I called ma today for the recipe. 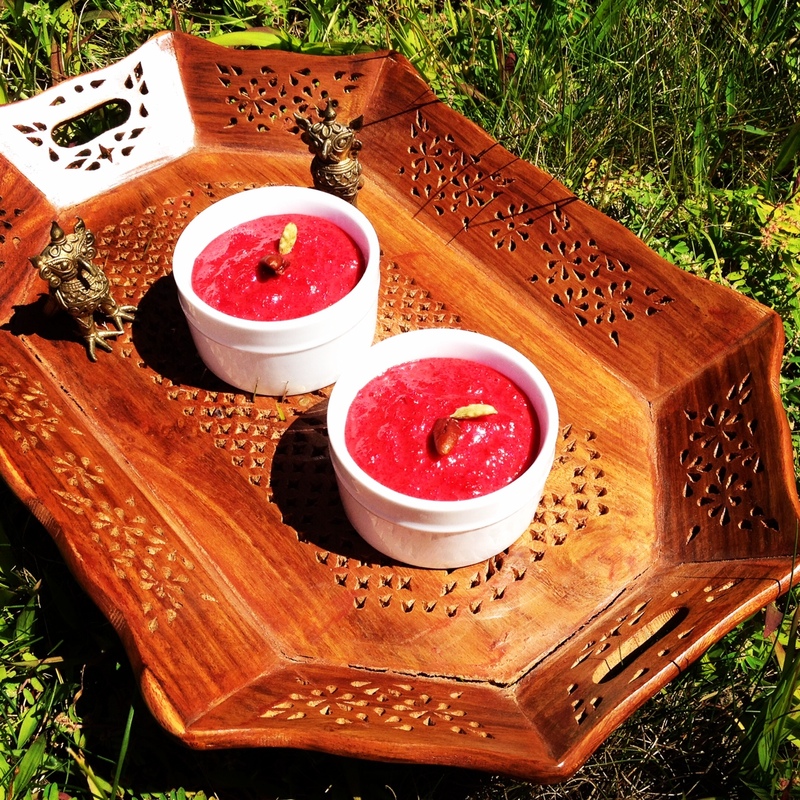 She learned the recipe from my grandmother, who used to make this beet-payesh(payasam) for my ma and my aunt, she said. She explained that I need to boil the milk first, with a bay leaf and a few cardamoms, and then add the grated beet along with a handful of raisins. In a separate pan I would have to dry roast three teaspoons of semolina and then add a teaspoon of ghee to it. Once the milk had thickened and the beet cooked, I would have to add sugar and the semolina to it and cook for just a couple more minutes. I love how a beet transfuses its color to anything and everything, be it your fingertips, the chopping board or to the other ingredients in your recipe. While making this dessert today, the evaporated milk I used turned into a beautiful hue of pink once I added the grated beet. By the time I was done cooking the intensity of the color had reached a mesmerizing height. I remember ma often used to serve this dessert warm and it was perfect for those pleasant winter evenings in Kolkata. Here I can almost feel a nip in the air at dawn these days, a herald of autumn. Categories: Something Sweet | Tags: beet, beet dessert, beet er payesh, beet payasam, beetroot, beetroot dessert, beetroot payasam, indian beetroot dessert, indian dessert | Permalink. Look what I found at the Davis Square farmers’ market, in Somerville, yesterday! I was super excited to chance upon this pretty bunch. They were fresh, had a sweet smell, and were selling for 4$ a bunch. Back home, in Kolkata, we coat the blossoms in a batter made of a mixture of chickpea flour and rice flour before deep frying them. Tastes great with some dal and rice. A Japanese lady was buying some fresh green beans from the same stall and she wanted to know what I would do with the blossoms. After I told her the recipe that we usually abide by, she said she prepares tempura batter for the blossoms and deep fries them. She suggested I could stuff the blossoms first, with stuffing of my choice, and then fry them. 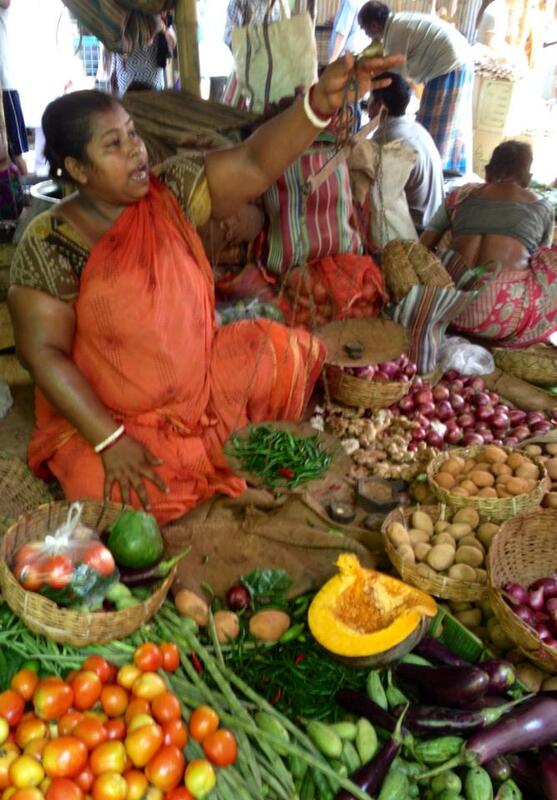 “The vegetables you get here are good and fresh,” she said. See, this is one of the reasons I love visiting a farmers’ market. You not only get to interact with the farmers and know where your produce comes from but also get a chance to interact with your fellow buyers. Before I left, I got a big glass of freshly squeezed lemonade with raspberry and mint at another stall and a maple bacon donut from the Union Square Donuts’ stall. I got back home feeling happy. 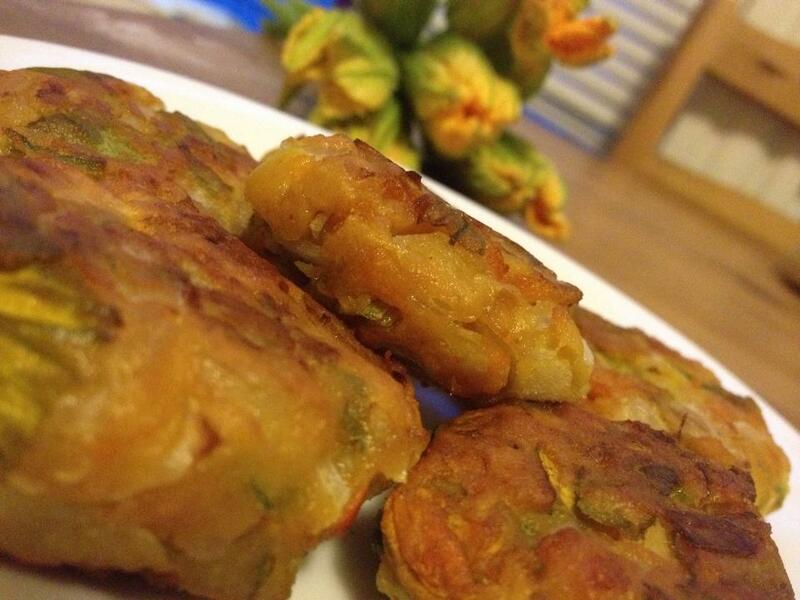 I knew what we would be having for dinner: moong dal with vegetables, basmati rice and pumpkin blossom fritters. I decided on making fritters because that would give me the option to shallow fry them, instead of deep frying. I picked ten flowers from the bunch and washed them and let them dry. 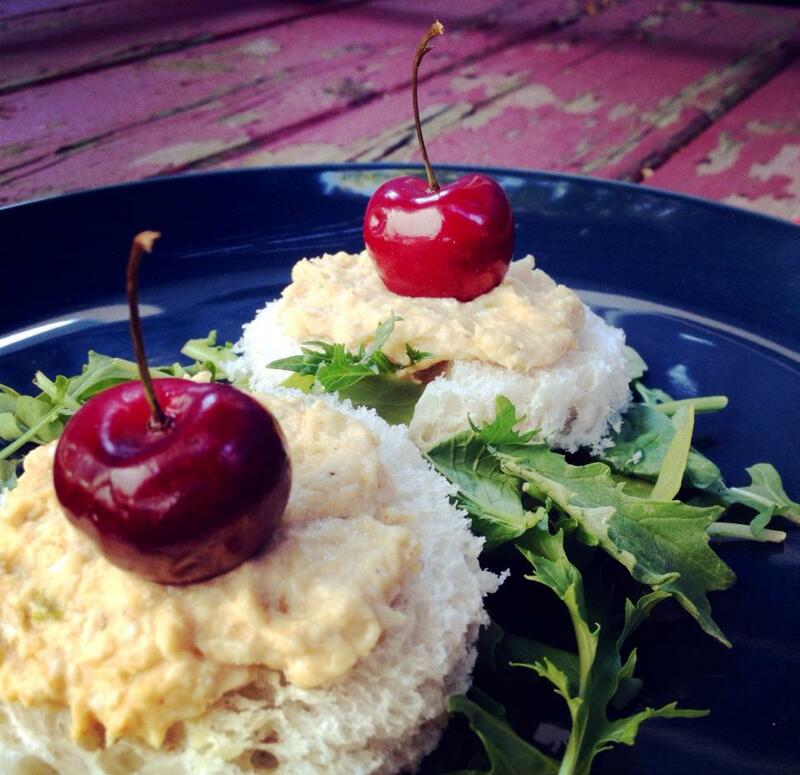 I followed this recipe, but used only two tablespoons of chickpea flour, half an onion and added one tablespoon of rice flour. 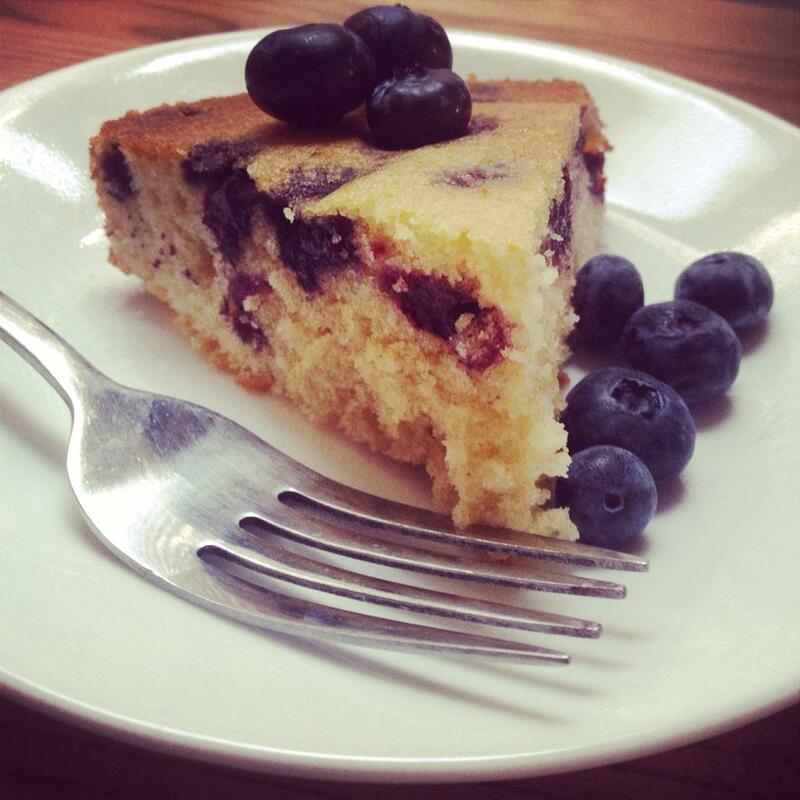 Didn’t add the baking powder as well. They came out crisp on the outside and soft but perfectly cooked on the inside. Another reason I love visiting farmers’ markets is that they remind me so much of the sabzi (vegetable) bazaars back home. A stall at a vegetable bazaar in Kolkata. Spotted the pumpkin? 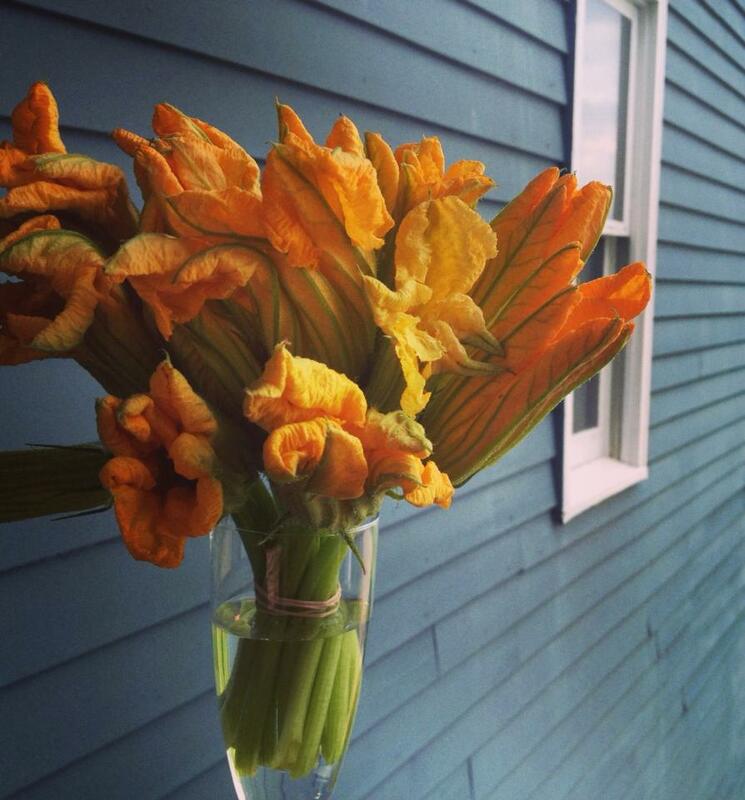 Categories: In and around Boston, Vegetarian | Tags: blossoms, edible blossoms, farmers market davis square, indian fritters, kumro ful bhaja, kumro ful bora, pumpkin blossoms, pumpkin flowers, somerville farmers' market | Permalink. Sometime in the early 90’s: Pleated navy blue skirt hitting an inch below the knees. White shirt with a slight tinge of blue from the overuse of Ujala fabric whitener. White ribbon on wedge-cut hair. A pair of white socks, its elastic garter slowly losing hold. Kiwi-polished Bata, black, ballerina shoes. Duckback school bag and Milton water bottle. The best part of packing the school bag was undoubtedly putting the stainless steel tiffin box in its designated slot. The tiffin box representing a break from the otherwise interminable school hours. 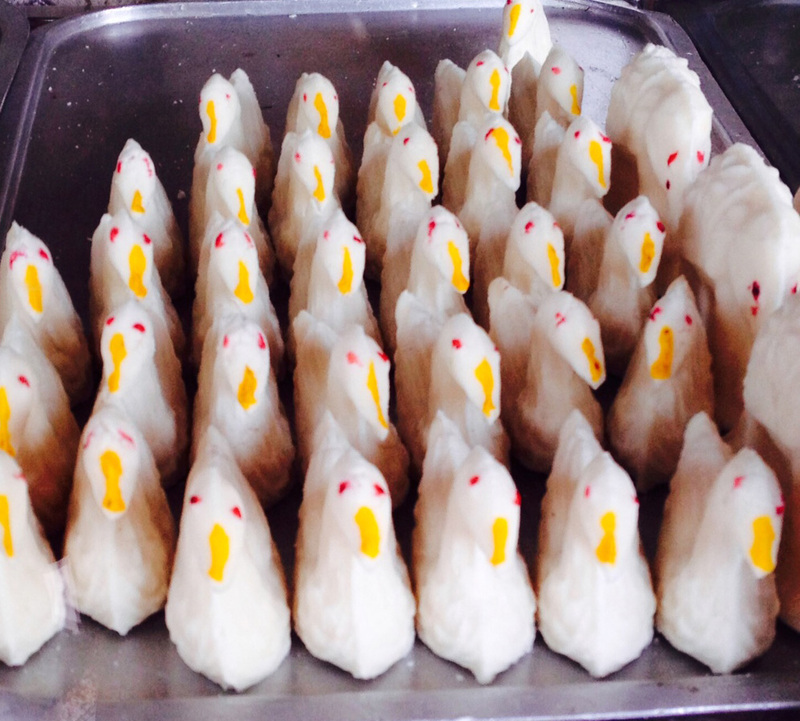 One of the most frequent item in my tiffin box would be a duck-shaped sweetmeat. A white duck with black cardamom eyes and orange coloring to highlight its conical beak. The design was not intricate except for the feather-like lines etched on it, showcasing the confectioner’s dexterity. It had an overdose of sugar, but I liked it that way. I used to call it haansh mishti. Haansh is Bengali for duck and mishti for sweet. My father would buy this sweet for me from the local sweet shop, which was on our way to the bus-stop from where I boarded the school bus. During lunch break I often bartered a part of this confection duck for other treats that my friends had brought along for the day. Sometime in April this year: I was at the main campus of Calcutta University, in College Street, to collect my transcripts. 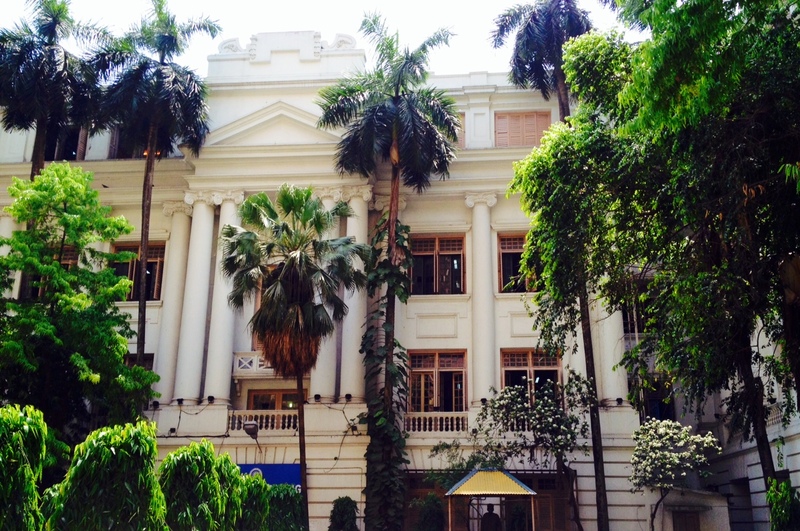 College Street is the intellectual hub of Kolkata; it houses Calcutta University and Presidency University. It is known as boi para (book lane) as the street is lined with book stores, one after another, on both sides. There are also a number of legendary local eateries, which have been around for decades like the Coffee House, Paramount and Putiram. 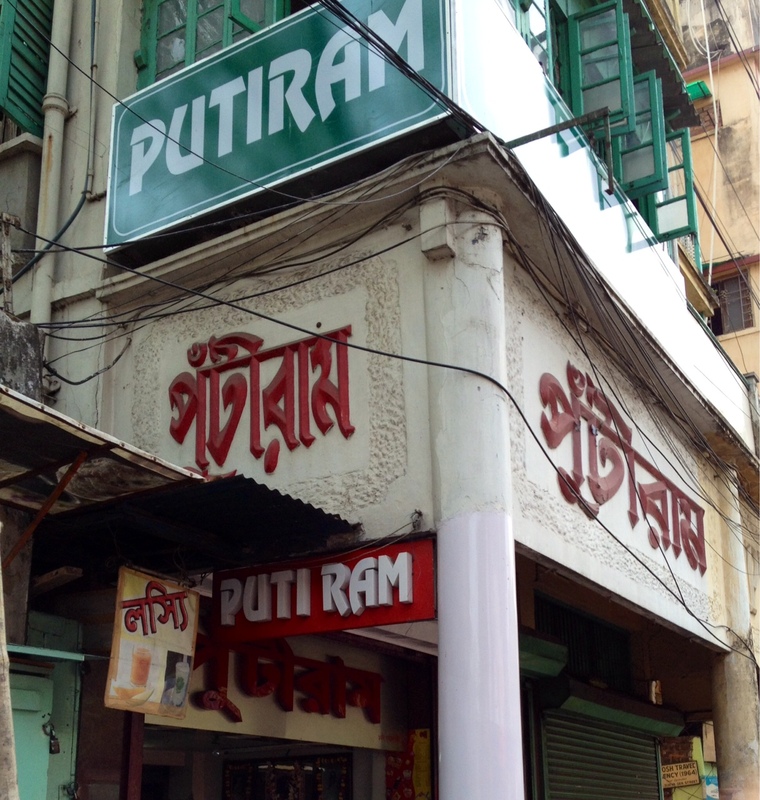 My sister and I had planned on visiting the famous Putiram Sweets. And once our work was done we headed toward the store. This confectionery shop has been in the area for over 150 years now and is an institution by itself. There were rows of sweets, of myriad colors and shapes, displayed in the glass showcase. And to my surprise I found my favorite duck-shaped confection displayed on a silver plate. I was elated and promptly ordered a few pieces to take home. I quickly began to take pictures. A customer noticed this. “Haansh er ki shoubhagyo (The duck is really lucky)!” he said sarcastically. After taking a bite I realized that many things have changed over the years. The duck was missing the cardamom eyes; it had red eyes painted on them. Instead of the whole beak painted orange, it was just a stroke of orange on top of the beak, the rest being white. On top of that the way it tasted didn’t bear any resemblance to the ones that I used to get at my local shop years ago. And not to mention the price had gone up by 500%! Nevertheless it brought back some sweet memories. Categories: Something Sweet | Tags: bangali mishti, bengali sweet, calcutta university, college street, college street putiram, confection duck, duck, duckface, Memories, mishti, mishtir dokan, putiram, sweets | Permalink.